People United is an innovative charity that explores how the arts and creativity can grow kindness, empathy and a sense of common humanity. 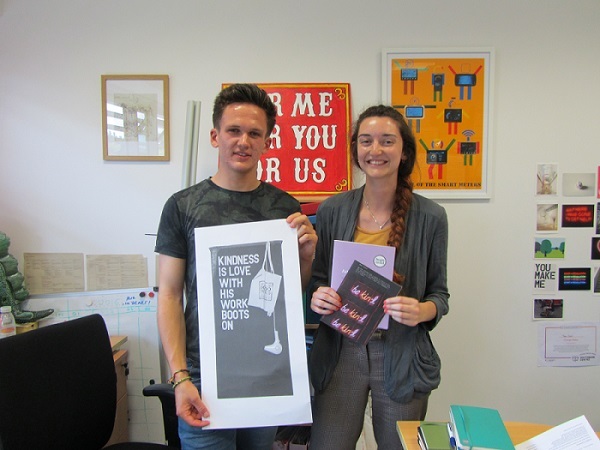 India Thompson (School of Psychology), was offered a two week work experience placement with Canterbury-based charity, People United (an innovative charity that explores how the arts can encourage kindness). India was supported to develop a research presentation about student giving and charitable activity. Whilst working with with the charity, India was supported by the Head of Development and Chief Executive. India was an extremely competent and confident student who demonstrated excellent enthusiasm for social change agendas and for fundraising activity. Her work has assisted us in the creation of a survey that is currently being circulated to students at Kent University, asking about the giving activity for this demographic. 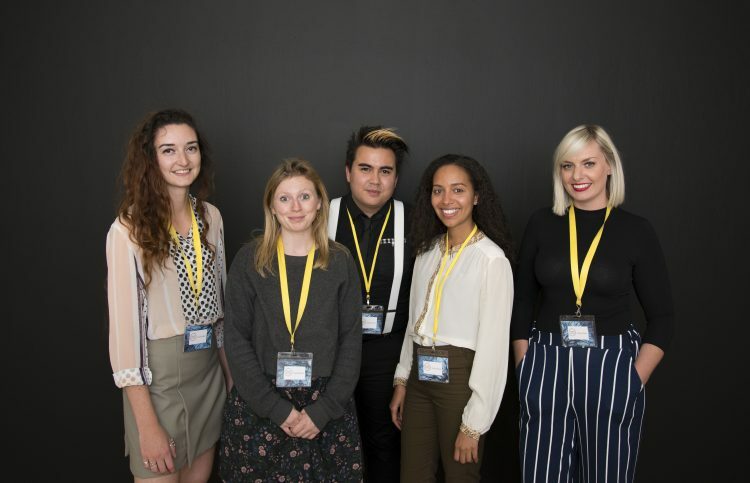 In 2016, People United are offered four work experience placements to EP students, and the team caught up with Kate Lyden and Alexander Frampton (both School of Politics and International Relations) to find out more. As the charity was founded in 2006, People United decided to celebrate its 10-year anniversary by hosting an event at the Tate Modern. Both Kate and Alex helped organise the event, undertaking social media promotion, create guest invites, in addition to assisting with the charity’s kindness campaign. Kate returned (alongside 2015 reward winner, Jonathan Small) to help with the event in October. Find out more about People United and their imaginative projects, here.